In order to ensure that you do not make any mistakes and that you take the right steps, you must consider getting certified. 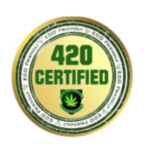 Attending a California marijuana university will ensure that you understand the procedure involved and the rules and regulations that apply. You can choose from various courses depending on what exactly you want to learn. 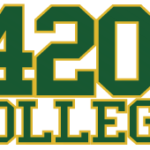 A California marijuana university offers both online and live courses. You can take the courses which best fits your schedule. There are many people in California who are looking to start a marijuana business in the state. With the legalization of marijuana in California, people have the opportunity to set up and run a marijuana business legally, but there are strict rules and regulations that must be adhered to. Running a marijuana business is not as easy as it appears on the surface. It is different from a regular business because of its legal requirements and steps that must be followed. Most of the people have their applications declined instantly because they failed to comply with the laws or they made simple mistakes in their application forms. And once an applicant is rejected there is no chances for that individual to enter the industry.